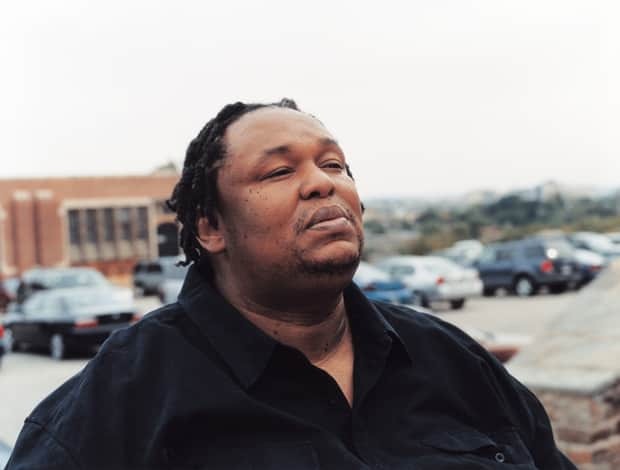 For the second installment of our extended interviews with members of The Wire family we bring you Robert Chew, the man behind Proposition Joe. Read on after the jump, and check yesterday's interviews with Anwan "Slim Charles" Glover and Felicia "Snoop" Pearson here. ROBERT CHEW has appeared on all four seasons of The Wire, playing the drug dealer Proposition Joe. Chew also serves as an acting coach for several amateur actors on the show. How did you get cast on the show?I had been an actor for several years, a theater actor. I was in New York, I mainly worked with a theater company called Theatreworks USA, and they are the largest children’s theater company in the United States. I worked for them for about six years and finally I said, Maybe I should start doing other things. So I started branching out doing regional theater, in Arizona I did Five Guys Named Moe, in Virginia I did the first African American production of Cat on a Hot Tin Roof. I was just circling around doing my runs and basically I got tired of traveling. I came back home to Baltimore and a friend of mine was working with a youth theater program at Arena Players and he needed somebody to be musical director. I don’t play any instruments, but I had had music theory and I could teach voice, so they hired me to do that and I have been working with them ever since. We started getting bigger and better in our productions so the director would always ask me to work with the kids on the side on their scenes. That is how my drama coach skills started getting better. Then I started getting restless myself after teaching for three years. My first reaction was to go back to New York, but then I said, Let me try some film work. I went to the Pat Moran Casting Agency, the first thing I did with her was Homicide. I did a three part episode and I did The Corner. I went back to New York, and then I got a call from Pat about a new show called The Wire that is going to be filmed in Baltimore and they were interested in seeing me. So I came down and auditioned for Prop Joe. I am sitting in the office with all the other actors and I’m looking around and all these guys are like super models. You know jackets and ties and hair neatly trimmed and leather shoes. I’m like, “Am I in the right audition?” I had a sweat suit on, I’m a big guy, I looked nothing like these guys. Then the next day they said I had the part. A month later I found out that Prop Joe was a real person and that he was handsome and debonair and a ladies man. That explains the other actors, how I got this part, I’ll never know. Did you learn more about the real Proposition Joe? Yeah, he was definitely a drug runner, but he was very smooth with his operations and he had a tragic ending. It had nothing to do with drugs or anything, he was just in the wrong place at the wrong time and someone shot him. Your role has really grown since the show started, did they give you any indication they were going to expand it so much? Not at all. As a matter of fact I even asked if I will be back and they said, “We don’t know, we’ll see what happens.” My first appearance was at the end of the first season and then they called me back right before the last episode and I’m like, Oh, I got a two parter. Then when the second season came around and they took it to Greektown, I said there is no way I’m coming back, they’re doing a whole new storyline. But they kept some of the other characters and kept the storyline going. My role really grew in the second season, I think I was even going to be hired to be one of their regulars until I broke my knee, which put me out of commission for a while. Since you are involved with Arena Players, do they come to you looking for actors? Pat knew I worked with kids and at the start of the third season she asked if I had a particular type of kid for a new role named Marlo. I said I have the perfect guy for you and I sent her my top kid, Melvin Russell. He didn’t get the part, but she liked him so much they wrote a part for him, he became one of Marlo’s sellers [Jamal], and he has a recurring role. She liked him so much she said, “Well Rob, do you have any more kids?” They were tired of picking kids off the street, they weren’t disciplined about the business. They were authentic but when they said cut they would still be talking and playing. She wanted professional actors, so I sent her a whole troop load and she hired almost every last one. To date I have 22 kids that were on the show, and six of them had recurring roles. What do you think about how the show depicts Baltimore? It’s a part of Baltimore, there is a part like that that does exist, but it is a small part. I mean, there are drugs everywhere, but the crime that is on that show, those are only in small pocket sections. This is a great city, it really is. But everything on that show is true. You have kids that are out there selling drugs, you have incorporated gangs of drug dealers, you have crooked cops, you have all that here, but that is in almost in every state. How has the experience on this show been different from other stuff you’ve done? This might be a cliché, but it is such a family environment, even from the production to the crew, everybody knows each other, unfortunately there are a couple of actors I haven’t even met, because it is such a large cast and I don’t always get to work with people, but everyone I have met so far as been extremely fun, nice and polite and great to work with.